Geoff Ind Animation: Examples of my work, Childrens book Illustration. 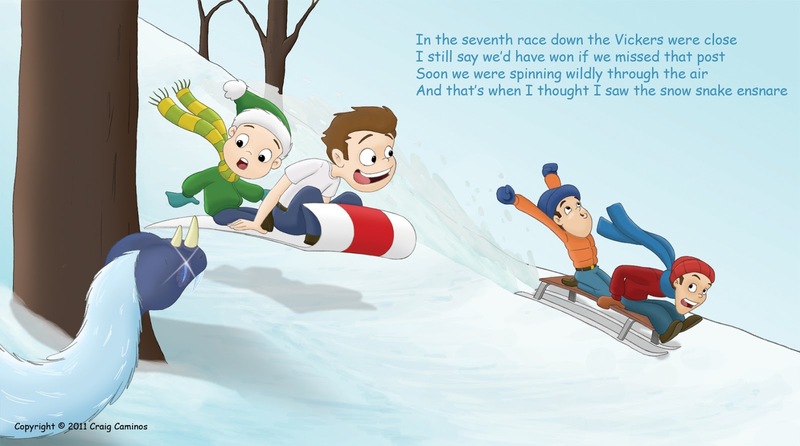 Examples of my work, Childrens book Illustration. I recently completed a freelance job to illustrate parts of a series of children's book's which the author wanted to include with his manuscript when he submitted it to the publisher. Below is one of the completed illustrations. To give you an idea of my process for this drawing I have outlined the stages that all of the illustrations went through after the initial quote for the job was accepted by the client. The first step was to go through the manuscripts text and to come up with visuals for each of the passages, these visuals where discussed with the author and adjusted as required for the story. Next I drew up a rough version of the chosen passage (the client asked for certain passages to be illustrated) in pencil for approval by the client, if there where any changes needed to the drawing they would be made next, again going back to the client for approval before moving on to clean up. After final rough approval I would then clean up the drawing getting rid of any unnecessary detail or line work. After clean up the drawing was scanned and painted digitally and finally sent of to the client for colour approval. Again if there are any changes needed these would then be made before final approval of the completed colour illustration. Geoff Ind, demo reel 2013. Examples of my work, 3D Desktop Graphics.